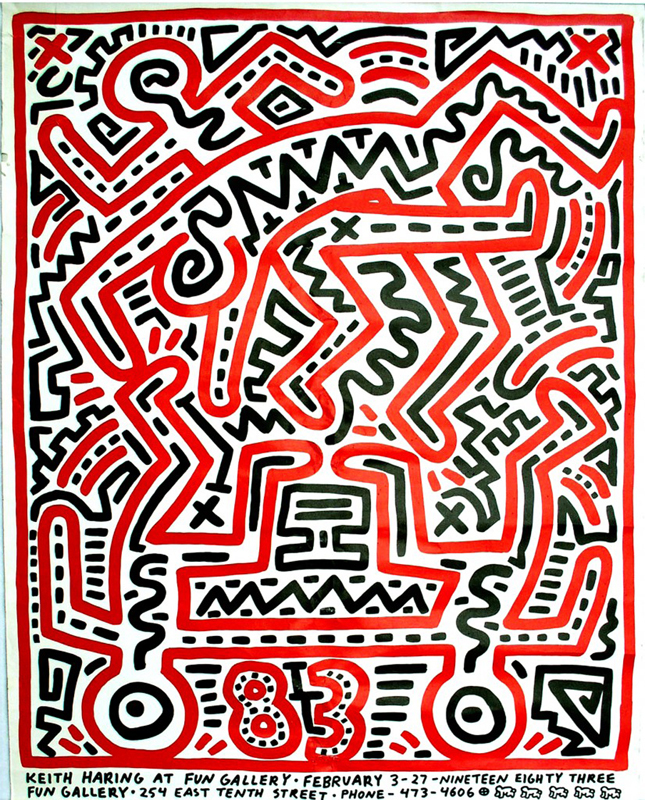 Two-color offset poster, framed, 29″ x 23″. 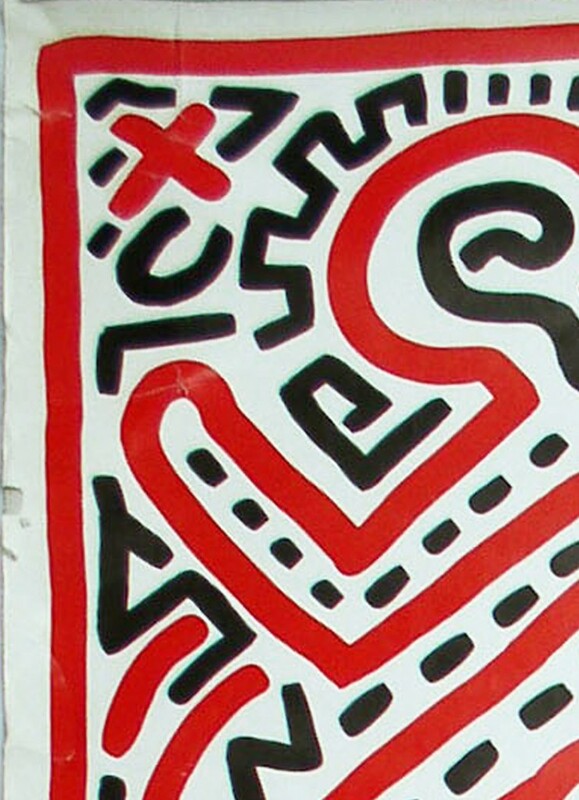 Keith Haring was already showing regularly at the Tony Shafrazi Gallery by 1983; his exhibition at the Fun Gallery was a gesture of solidarity with the other graffiti artists represented by the low-budget East Village space. 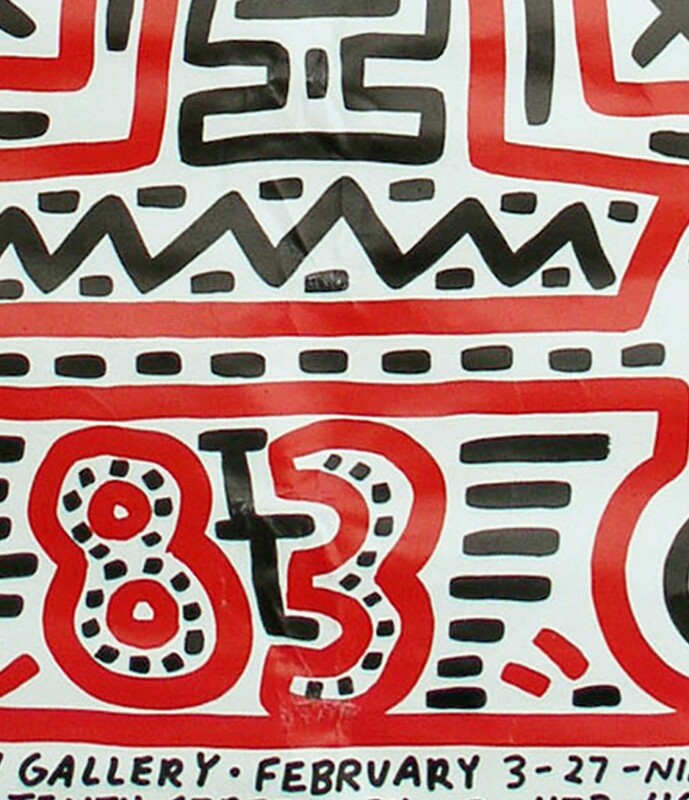 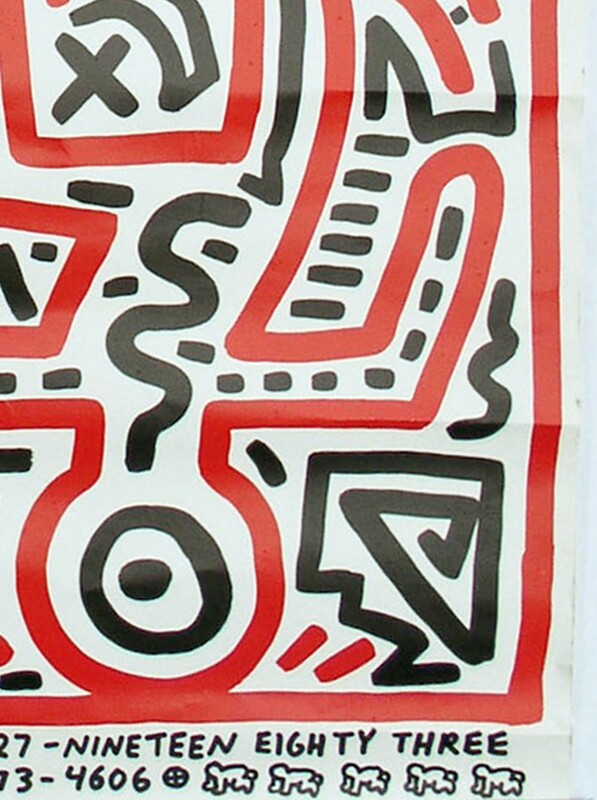 The posters were financed by Haring himself, who personally handed them out to the many fans flocking to the gallery.